Hello eco-conscious friends! I recently discovered a way to earn $300 in interest/year by using leverage and low interest rates. 🙂 For those who are interested in the details, here’s how it’s done. Step 1: Borrow $10,000 from the bank at 3% annual interest rate. Step 2: Download the online SolarShare purchase form. Step 3: Fill out the form with instructions to invest $10,000 in bonds that pay 6% annual interest. That’s all there is to it. 🙂 Simple right? Once I made my decision to go for it the entire process only took about 30 minutes. What I essentially did was borrow money at 3% to buy an investment that pays 6%. This means my net investment return is 3% pre tax. All the investment capital comes from someone else so I don’t have to spend a dime myself. This is the easiest way I know how to make $300, lol. But of course just because this strategy works for me doesn’t mean it’s right for everyone else. So in today’s post I will discuss how my new investment works and why I chose to buy it. If you don’t yet believe in solar energy, maybe this post will help you warm up to the idea, haha. 😉 But please do additional research on your own and consult with a professional before making any financial decisions. An investor who uses $10,000 of savings to buy these bonds would make the full 6% return since there would be no cost of debt. I didn’t use my savings for this investment because my money is earmarked to make another big purchase later this month. Sustainability is very important to me. This is because I love bacon, lobster, steak, sea bass, and all things delicious. Animals require a sustainable habitat to live and grow. But if there is too much pollution then entire ecosystems or farms where animals live could be destroyed. I simply cannot allow that happen. So as you can see, investing in renewable energy is a matter that’s very close to my heart. 😆 And we are lucky here in Canada where we receive a decent amount of sunshine throughout the year, unlike some other parts of the world. I had previously wrote about how to invest in renewable energy. Not only is it environmentally responsible, but it can also be quite profitable. My investment last year in Brookfield Renewable is now up by 12%, including dividends, which is not too shabby. 🙂 But this time I ventured into the world of alternative investments to directly invest in solar energy projects. Always have a Plan B, because you never know when the condom might break. Of course having a backup plan for one’s career or business is also a good idea. I recently read an article by James Altucher on the importance of having a plan B. There’s nothing wrong with having a single job or a main goal to focus on. But most people these days will not be working for the same company for 40 years and then retire into a comfortable pension program. So what we need to do is to figure out a plan B, just in case our initial career choice doesn’t work out the way we want it to. If the fate of our plan A lies in the hands of just one company’s decision then it is only a matter of time before our plan fails. This is because companies have to change and improve in order to stay competitive and profitable, and some of those changes are not up to us. So if we have a plan B, at least we can have something else to fall back on in case our career doesn’t work out. Resorting to plan B doesn’t mean we have failed. On the contrary, having multiple plans will only make us stronger, more experienced, and better prepared to deal with changing life circumstances. 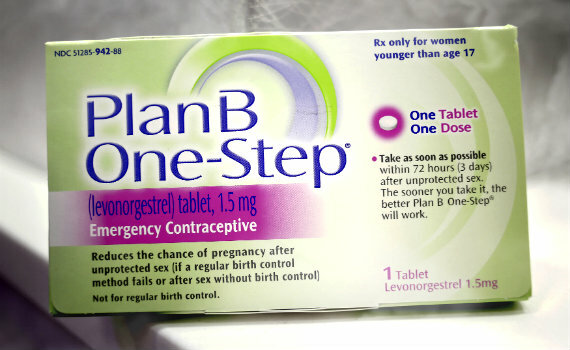 But we don’t have to stop at just plan B. We can make a plan C, D, E, and so on. If our plan A doesn’t work, at least we have 25 other letters of the alphabet to work with. 😀 In fact, financially savvy individuals have put in place multiple plans all running at the same time. “The average multi-millionaire has at least 7 different sources of income. You can’t have 7 full time jobs. A “source of income” takes up much less time than a boss paying you to sit in a chair. So, do the opposite of focus. Try to help people in many different ways. Then many different types of payment will come your way.” ~ James A. Most people can make over $100,000 a year if they’re committed to improving their formal education, be dedicated to their careers, and be willing to work 60+ hours a week. But unlike most people, I’m lazy and don’t like to work hard. 😛 So I prefer to use multiple income streams to eventually earn a $100,000 annual income instead. I first discovered the power of combining multiple income sources in 2012. Why remain a one-income household when you can become a two, five, or even ten-income household? 😉 Instead of focusing all our energy on growing one income, I feel the priority should be to promote synergy between multiple income sources to make them all work and grow together. Introducing my new income stream, Interest. I started earning interest on my investments in 2014. Back then I was only making a few hundred dollars a year. But by the end of 2015 it had grown to ~$2,000 per year so I feel obligated to officially include it on my income graph below, (light blue bar). It’s always fun to discover new income sources. 🙂 Each one will have its own unique characteristics and advantages. Everyone knows we shouldn’t put all our investments into one basket. I feel it’s prudent to do the same with our incomes and not rely entirely on one job or income source. If I ever lose my primary job, it’s nice to know I have 5 other incomes to fall back on. Phew. There are many ways to learn about financial management. But never take investment advice from strippers. They tend to always lose their shirts. The trick with investing is balancing the risk vs return. Savings accounts are safe but the problem is they don’t grow. I don’t know anyone who became a millionaire by investing in savings accounts, GICs, CDs, or money market funds. On the other hand growth stocks like Dollarama or Apple may have experienced huge gains over time, but they are quite risky and lots of people lost their life savings in the dot-com bubble or the great recession. So what is an investor to do? The answer is dividend growth stocks! 😀 The dividend growth investing strategy is less risky than buying high volatility stocks, but generally provides much higher returns than low interest savings accounts. It’s the best of both worlds! Dividend growth investing has always been a fundamental part of my retirement portfolio. Ever since I began to invest in the stock market I have been buying strong businesses that have a long history of growing dividends, usually every year. 🙂 Getting paid today is good, but almost certainly getting paid continuously for the next 10 years is even better. The secret sauce to a good dividend growth stock is a mix of having a lucrative business model and a management team that is committed to shareholder value. 😉 The best place to start looking for dividend growth stocks to look at a list of Dividend Aristocrats. many companies I hold such as Royal Bank, TD, and Enbridge are on that list. Here’s a look at my dividend income over the years. I have been using the dividend growth strategy for the past 7 years and have built up a portfolio that gives me about $7,000 a year in dividends. But let’s look at some other dividend bloggers who are doing much better. The following 10 individuals are all making $10,000+ in divs and are the experts when it comes to dividend investing. Some of them have been growing their dividend portfolios for a long time. A fellow Vancouverite who is on his way to early retirement by focusing on dividend investing. Another blogger who hails from Vancouver. He started his dividend income journey in 2007. Mark started investing when he was in his early 20s after reading David Chilton’s The Wealthy Barber. A Finland investor who has an impressively diversified portfolio in 5 different currencies. DGI managed to grow his passive income from $0 to $15k in just 8 years. This year, for the first time, he will be living off his dividend income and side hustle, while investing 100% of his after-tax paycheck. Amazing! He amassed an incredible amount of assets after climbing his way out of $35,000 credit card debt. From age 35 to 42 his net worth increased 7 fold. Sam is a successful entrepreneur living in the San Francisco Bay Area. He quit his stable finance job a few years ago to pursue his own projects. Other than a huge stock portfolio his other sources of cash flow include rental income, book sales, and alternative investments. He currently makes over $150,000 a year from, (get ready for this,) passive income alone! ? Cheese and rice! AG is in his late 30s and lives in Victoria, B.C. His $3 million net worth gives him the choice and freedom that we all strive for. These folks are the rockstars of the dividend investing world. 🙂 And they only represent a handful of the countless number of investors in society who are making at least $10,000 a year in dividend income. I’m convinced dividends are the best financial invention since credit. It’s the perfect tool for people like myself. It’s not a get rich quick scheme, nor is it just savings accounts and government bonds. It’s a brilliant way to make a reasonable amount of money over a reasonable amount of time. My goal is to make $8,500 in forward annual dividend earnings by the end of this year.